THE MORE THE MORE FREE! Buy 2 Pairs Get 1 Pair Free! Buy 4 Pairs Get 2 Pairs Free! Buy 6 Pairs Get 3 Pairs Free! We have 8mm, 10mm, 12mm, 14mm, 16mm, 18mm, 20mm for sale. 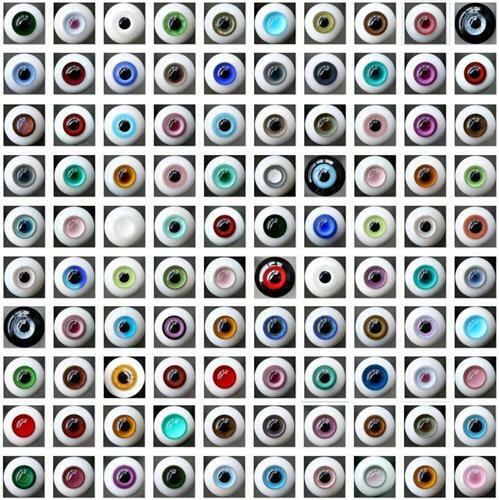 Contact us the size for free eyes as soon as possible ! We will send rendom size if you not specify the free size. Fits on a BJD dollfie Luts and other similar sized ball joint dolls.